Marriott International is a hospitality chain of hotels, which is a franchiser of a number of hotels as well as lodging facilities. The company has over 3700 properties spread across 74 countries around the globe. Marriott came into existence in the year 1927 and J. Willard Marriott founded it and Marriott international was formally incorporated in the year 1992, when the Marriott corporation was separated into two halves. In 1995, the company acquired 49 percent interest in Ritz-Carlton Hotel Company. The main brands of the company include Gaylord Hotels, Ritz-XCarlton, EDITION Hotels, Ac Hotels, Fairfield, Courtyard, Marriott ExecuStay, Residence Inn, and many others. 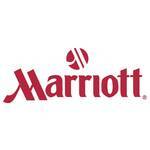 There are currently 1 consumer reviews about Marriott International, Inc available. Share your review. Please take a note that you are about to post a public review about Marriott International, Inc corporate office on CorporateOffice.com. This review will be public, so please do not post any of your personal information on this website. If you would like to contact the corporate offices of Marriott International, Inc, please use their contact information such as their phone number, website, and address listed above to contact them. However, sometimes staff from Marriott International, Inc headquarters do read the reviews on this website.